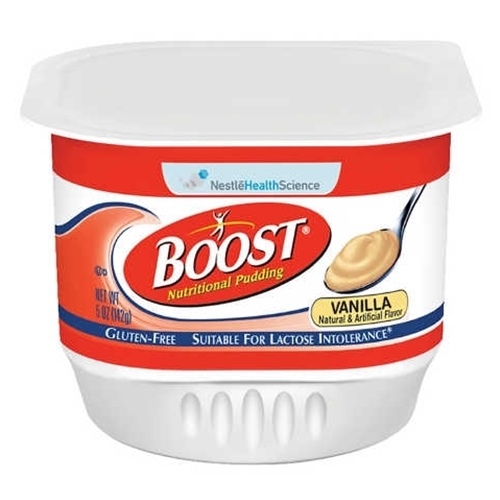 Boost Nutritional Pudding from HealthyKin.com isn't just good to eat, it's good for conditions from fluid-restricted and pureed diets to increased protein and calorie requirements. Each 5 oz pudding cup provides 7 grams of protein for a delicious and nutritionally balanced snack that will add familiarity and variety to any diet. Tasty. Nice size after meal or for a snack. My Mom likes these puddings - butterscotch and vanilla are her favorites. I wish the cases were mixed flavors!